There is something very lovely and interesting going on in Dublin tonight. 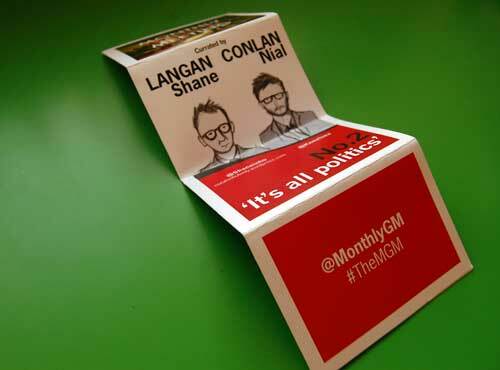 The MGM or monthly general meeting, curated by Nial Conlon and Shane Langan, has been running for a few months. I’ve been to them all i think and each time it’s such a unique experience that i can’t miss the next one. The thing about it that doesn’t change (so far anyways) is the atmosphere. It feels like home though i can’t put my finger on why. It is just quiet, new or small enough to feel like you’re part of something that great things may spring out of and it’s open enough to have no pretentiousness about it. It feels like the little beating heart of something bigger and innately good. And you feel good for touching base with it. Like checking you still have a pulse. Quiet, gentle and humble but very important for your wellbeing. I had a massive dilemma about whether to write about it or not. I kind of like it the way it is and fear that telling too many people about it may result in it’s destruction or change. Then I realised i am not in primary school anymore and this is a silly way to think. I think you should go. Bring an attitude of respect and niceness. I will try to also. 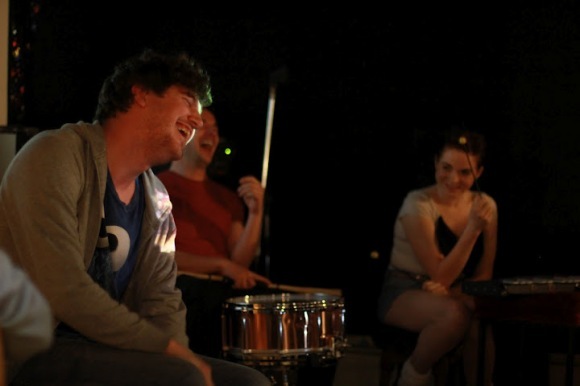 I was a bit disruptive during the poetry last month – apologies. In hindsight i would have put me in the dána corner. To find out more follow them on Twitter – @MonthlyGM or just turn up at the Legal Eagle tonight at 8pm. It’s free.